Why is it that some of your tutoring, test prep, or educational services competitors rank consistently higher than you do for the most desirable search terms? How is it that many of your competitors get higher placement with Per Per Click ads (PPC) even when it appears that you are outbidding them for target keywords? In this blog post, we will evaluate best practices in how to ethically analyze your local, regional, and national competitors quickly and easily. Armed with this information you can craft an ROI-focused digital marketing strategy that can improve your placement and increase your bottom line revenue. 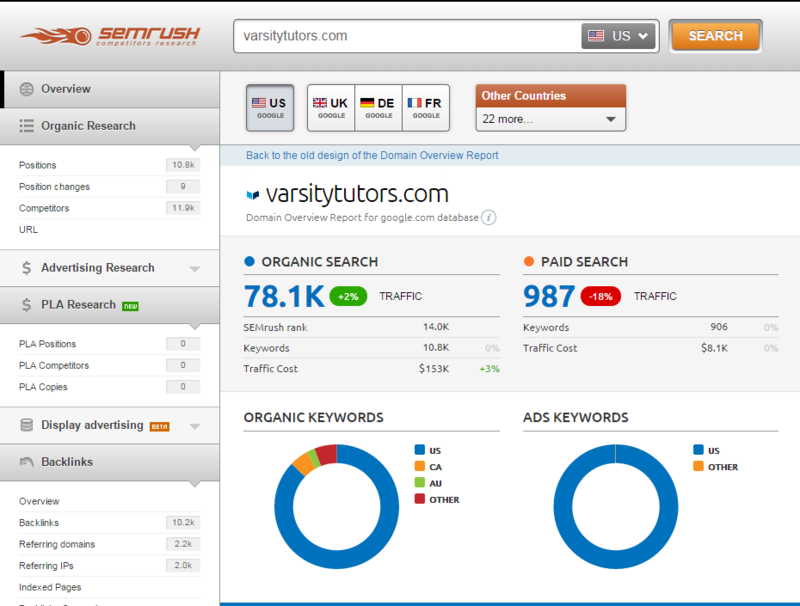 In this blog we will use one of our favorite tools - SEMRush - to uncover some facets of a US-based tutoring company's strategy and gain some insights that you may use to improve your own digital digital marketing. SEM Rush is one of the best tools that we've found to uncover competitors’ strategy in display advertising, organic search, paid search, and link building. While the free version allows basic functionality and limited report volume, the paid version of $69 per month will give you the ability to run unlimited reports and gain an in-depth understanding of your competitors activities. If the monthly price tag is too high for your organization, it may make sense to subscribe for a limited time as SEMRush does not lock you into any contracts. Chances are many of the insights you will gain will be useful for many months to come, and that you may be able to glean insights fairly quickly that will pay dividends. SEM Rush at first glance looks a lot more complicated than it really is. For example in the dashboard below, each one of the windows shows little snapshots of larger reports that are available. You can start with the search bar (circled in red) where you can enter either your own domain, a competitor’s domain, a URL, or target keywords. With 78.1K monthly search hits, Varsity Tutor’s organic search nets them the equivalent of 153K in monthly Pay per Click advertising. This demonstrates that their SEO is producing excellent ROI, and is the focus of their digital marketing strategy. While Varsity runs paid search campaigns, their monthly estimated spend is quite low for a company with operations in 20 markets. (When you have SEO this good, you don't need a ton of PPC). Varsity’s backlink count is over 10K, which indicates that digital marketing content and backlink building is a foundational component to their overall strategy. If we click on Organic Search and then positions, we can see a list of Varsity’s top organic keywords and filter by traffic percentage, volume, Cost per Click (CPC), and more. Varsity has first page positions with with a number of important high volume keywords like tutor, tutoring, math tutor, and more. One interesting clue that gave me a better understanding of their strategy is that two of their keywords with the highest traffic percentage came from GED math practice test and GED practice test. With a little more sleuthing, we found that Varsity has launched a free practice test site that requires the user to leave name and email details, which then likely goes into their marketing automation mechanism and follow-up drip campaigns. This list of Organic Search Terms shows us that Varsity has adopted an effective content marketing strategy by offering free practice tests through it’s website and on the Apple Store. varsity also ranks in the top six with generic keywords like “tutor”, and on the next page demonstrate high ranking with terms like “New York tutors”, “Chicago tutors”, “Los Angeles tutors”, and other large markets where they compete. One key feature that we are noticing in the post Google Panda world is that effective content marketing is more about help than hype, and Varsity's free resources provide an excellent example of a web asset that has contributed to its backlink volume and SEO positioning. As seen below, Varsity uses a number of display ads across its markets that correspond to particular subject keyword searches like Spanish tutor NYC or GMAT tutor NYC. Companies like Varsity perform frequent A/B testing on ads and it is always helpful to check their wording, calls to action, and seasonal discounts broadcast in their adwords text. 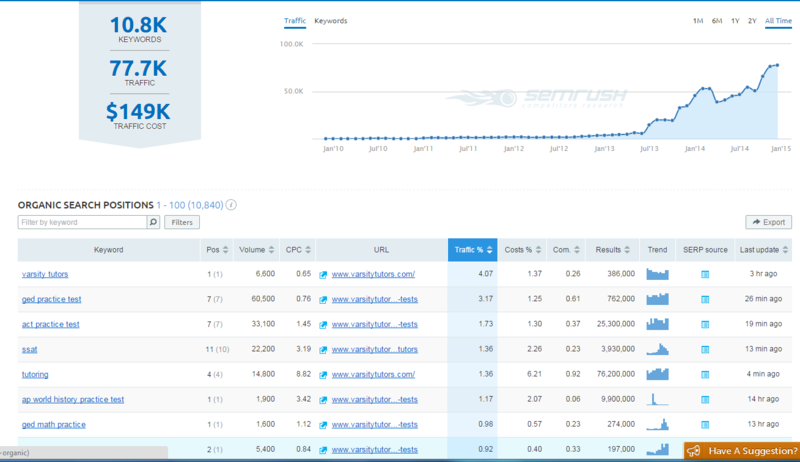 For a complete list of Varsity Adwords copy, you can run complete reports in SEM Rush. SEM Rush also features a tool that allow you to study a competitor’s display ads over time, which can help you learn from their mistakes and glean insight on what is producing ROI. For example, we can glean from an analysis of Varsity that they have run a consistent ad over several markets with brand positioning statements such as “affordable”, “100% money back guarantee”, and references to local university grads such as “Ivy League grads” and UW grads in the Seattle marketplace. As the Google Search algorithm has advanced with the Panda updates, a website’s backlinks are mission critical for search placement. With SEM Rush, you can run a full report on a competitor’s backlinks, analyze their strategy, and pursue their backlink providers by supplying superior and updated content. As we can see from the screenshot above, Varsity has received backlinks from a number of large national content portals like Yahoo and Huffington Post, which in turn are helping it’s social shares and contributing to it’s overall search rankings. While larger national portals may be more inclined to post content from educational services companies with a national presence, high-quality content with a focus on helping others can often attract attention of bloggers who are always craving fresh content. Performing backlink analysis on an established competitor with a national presence can often lead you to uncover key influencers in the industry and also give you excellent content marketing ideas that you can use in your local, regional, and national campaigns. Using an analytics tools like SEM Rush can help you collect marketing intelligence on your competitors, help you to learn from their best performing strategies, and help you build on their most successful campaigns. 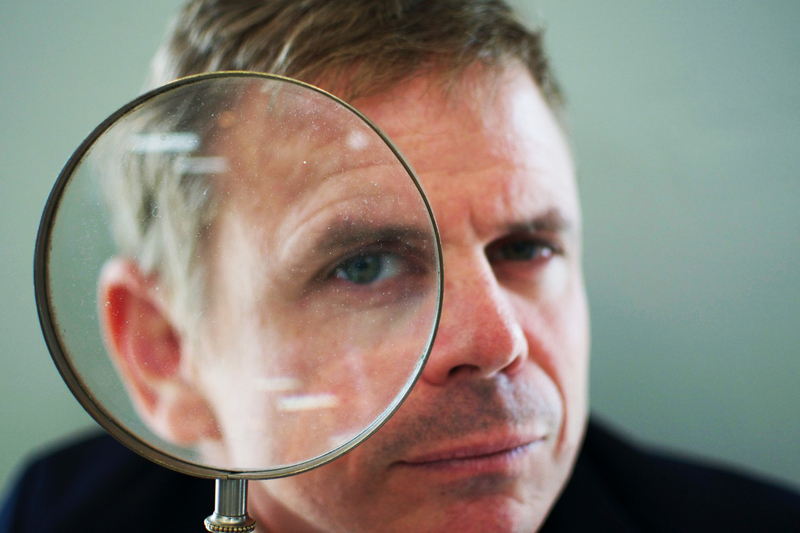 Share the post "Secret Report: Uncovering your Tutoring Competitors’ Digital Marketing Strategy"